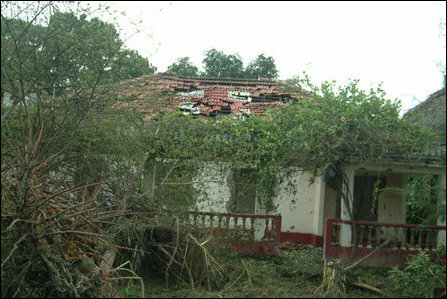 Sri Lanka Air Force (SLAF) bombed a convent named Holy Cross Convent, located on Paranthan Mullaiththevu Road, 600 meters away from Paranthan junction Tuesday night around 10:30 p.m., a day before Christmas. TamilNet correspondent who visited the site Wednesday morning witnessed that the attacked premises was marked with Red Cross on the roof. 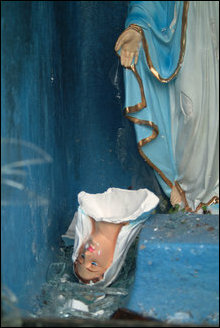 The nearby church also sustained damage. The SLAF deployed cluster munitions in the bombardment, residents who fled the site said. 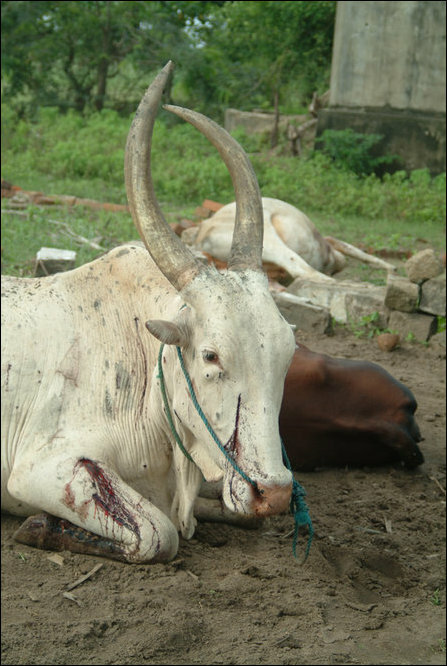 85 cows of a herd a few meters away from the convent were killed in the attack. The trace of cluster bombing. 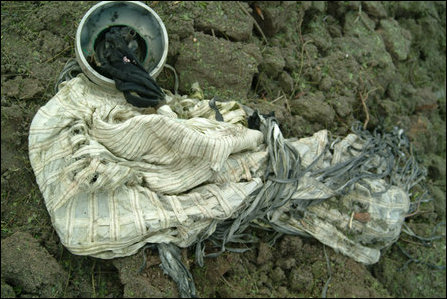 A parachute used to drop cluster container and the remains of the exploded case which carried bomblets. Karaichchi North Co-Operative society building located between the junction and the convent was also attacked by the SLAF bombers, causing the remaining civilians to flee the area. 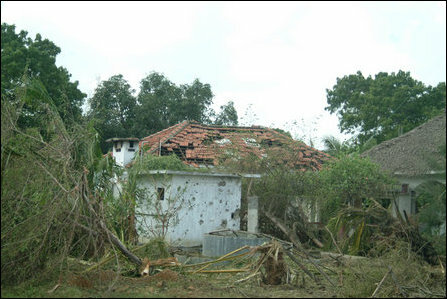 Paranthan has been bombed in more than five sorties by the Sri Lanka Air Force (SLAF) bombers causing civilians living near the convent to flee the area. The indiscriminate bombardment has also targeted shops and other commercial establishment in Paranthan and Kumarapuram. 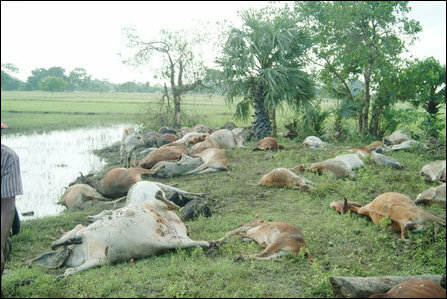 SLAF bombed Paranthan three times Tuesday night and twice Wednesday morning, at 7:30 a.m. and around 9:00 a.m. 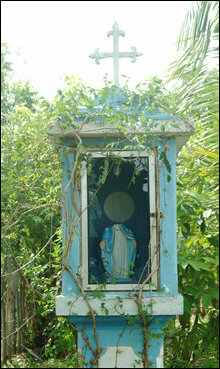 The bombers also attacked Kugnchup-paranthan where heavy fighting has erupted Wednesday morning. 24.12.08 Sri Lanka Air Force attacks convent in Vanni, depl..
03.12.08 TNA MP urges global community's awareness on Sri L..
30.11.08 Colombo's cluster bomb attack on civilians in Vann..
29.11.08 International media, human rights watchdogs lopsid..
29.11.08 SLAF bombs refugee camp in 'secure zone' in Vanni,..